Suicides to lines and back before next team goes. 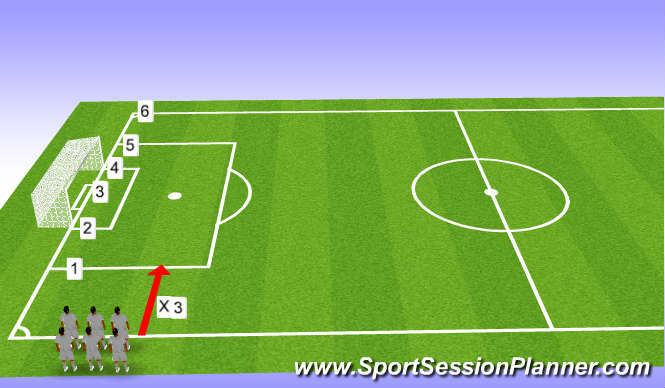 Three sidelines to 18 yard box and back to warm up. From 1 to 6 and 6 to 1.